The State Department should declare both the Muslim Brotherhood and Iran's Islamic Revolutionary Guards Corps (IRGC) as Foreign Terrorist Organizations (FTOs), thus triggering the penalties and sanctions required by law when such a declaration is made. Those "affiliates" of the Muslim Brotherhood that, in whole or part, meet the statutory FTO definition should be designated; those that do not can be spared, at least in the absence of new information. Qatar can legitimately complain that it is being unfairly singled out. The proper response is not to let Qatar off the hook but to put every other country whose governments or citizens are financing terrorism on the hook. In recent weeks, governments on the Arabian Peninsula have been having a diplomatic brawl. Saudi Arabia, the United Arab Emirates and Bahrain (together with Egypt and other Muslim countries) have put considerable economic and political pressure on Qatar, suspending diplomatic relations and embargoing trade with their fellow Gulf Cooperation Council (GCC) member. Kuwait and Oman, also GCC members, have been mediating the dispute or remaining publicly silent. The Saudis and their supporters are demanding sweeping changes in Qatari policies, including suspending all financial support to the Muslim Brotherhood and other terrorist groups; joining the other GCC members in taking a much harder line against the nuclear and terrorist threat from Shia Iran and its proxies; and closing Al Jazeera, the irritating, radical-supporting television and media empire funded by Qatar's royal family. The United States' response so far has been confused. President Trump has vocally supported the Saudi campaign, but the State Department has publicly taken a different view, urging that GCC members resolve their differences quietly. As with so many Middle East disputes, the issues are complex, and there is considerable underlying history. Of course, if they were easy, Saudi Arabia and Qatar would not be nearly at daggers drawn seemingly overnight. Washington has palpable interests at stake in this dispute and can make several critical moves to help restore unity among the Arabian governments, even though the issues may seem as exotic to the average American as the Saudi sword dance Trump joined during his recent Middle East trip. Confronting the twin issues of radical Islamic terrorism and the ayatollahs' malign regime in Iraq are central not only to the Arab disputants but to the United States as well. In addition to providing our good offices to the GCC members, the Trump administration should take two critical steps to restore unity and stability among these key allies. First, the State Department should declare both the Muslim Brotherhood and Iran's Islamic Revolutionary Guards Corps (IRGC) as Foreign Terrorist Organizations (FTOs), thus triggering the penalties and sanctions required by law when such a declaration is made. Both groups meet the statutory definition because of their violence and continuing threats against Americans. The Obama administration's failure to make the FTO designation has weakened our global anti-terrorist efforts. The Muslim Brotherhood's defenders argue that it is far from monolithic; that many of its "affiliates" are in fact entirely harmless; and that a blanket declaration would actually harm our anti-jihadi efforts. Even taking these objections as true for the sake of argument, they counsel a careful delineation among elements of the Brotherhood. Those that, in whole or part, meet the statutory FTO definition should be designated; those that do not can be spared, at least in the absence of new information. The Brotherhood's alleged complexity is an argument for being precise in the FTO designations, not for avoiding any designations whatever. Saudi Arabia, Egypt and other Arab governments already target the Brotherhood as a terrorist organization but Qatar does not. That may sound suspicious, but as of now, of course, the United States hasn't found the resolve to do it either. Once Washington acts, however, it will be much harder for Qatar or anyone else to argue that the Brotherhood is just a collection of charitable souls performing humanitarian missions. Similarly, Iran's Revolutionary Guards Corps is a direct terrorist threat that has been killing Americans ever since the IRGC-directed attack on the Marine barracks in Beirut, Lebanon, in October 1983. The only real argument against naming the IRGC is that so doing would endanger Obama's 2015 nuclear agreement, given Tehran's expected response to an FTO determination. 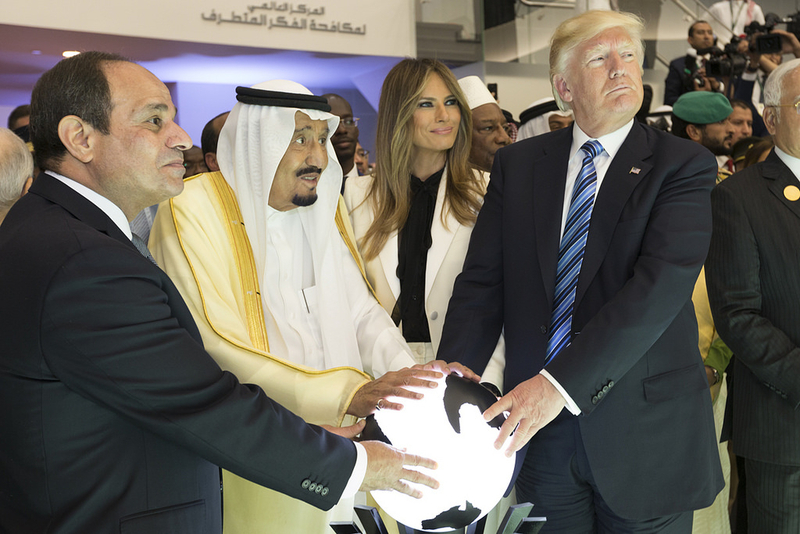 Second, Trump should follow up his successful Riyadh summit by insisting on rapid and comprehensive implementation of the summit's principal outcome, the Global Center for Combating Extremist Ideology (GCCEI). This center can provide governments across the Muslim world a face-saving mechanism to do what should have been done long ago, namely taking individual and collective steps to dry up terrorist financing. One could write books on the intricate financing that supports international terrorism, and finger-pointing at those responsible could take years. But whether terrorists are financed by governments, directly or indirectly, or by individuals or groups, with or without government knowledge or encouragement, it must all stop. Qatar can legitimately complain that it is being unfairly singled out. The proper response is not to let Qatar off the hook but to put every other country whose governments or citizens are financing terrorism on the hook. Although superficially the ongoing crisis among the oil-producing monarchies may seem a setback to American efforts in the war again terrorism and the struggle to eliminate the Iranian threat, in fact it provides a rare opportunity to make considerable progress on two of our top priorities. The Trump administration should not miss its chance. John R. Bolton, former U.S. Ambassador to the United Nations, is Chairman of Gatestone Institute, a senior fellow at the American Enterprise Institute, and author of "Surrender Is Not an Option: Defending America at the United Nations and Abroad". This article first appeared in the Pittsburgh Tribune-Review and is reprinted here with the kind permission of the author. Ultimatums usually do not work. Rich Saudis finance ISIS at least as much as Qataris. Both MUST LEARN AND PRACTICE being role models to Muslims all over the world. El-Guizeira TV has some very good programs and some that need elimination whether they contain hate speech or incite violence (freedoms have limits) and I never understood the friendship between Qatar (>70% Wahhabi Sunnis) and Iran (Shiite) unless it leads to an eventual understanding, peace and mutual respect between ALL factions of Muslims which will be a welcome thing and a much needed step in the right direction. A war between neighbors must be avoided. War leads to unnecessary futile destruction. Overt support for peace loving Christians and a Democratic Israel must occupy front stage. Excellent article. Should be reprinted in the Times. Bolton should speak to Matthew Clark in NYC. He just interviewed in White House. The young have no idea how to hire the older more experienced hands. They did use Clark's knowledge for Trump's meeting with the Saudi king. No surprise here. There is no Arab state in existence that doesn't look over it's shoulders in fear of its Arab state neighbors. The only difference with Qatar is that it bubbled out in the open. Welcome to reality. Arab states defeated in 1948 by a far weaker Jewish state was due in no small measure to each fearing each other so that they could not be efficient with their many times greater fire power. Only Transjordan was successful in grabbing the heart land of the Jews because John Glubb of the once great Britain was doing the managing of the war. 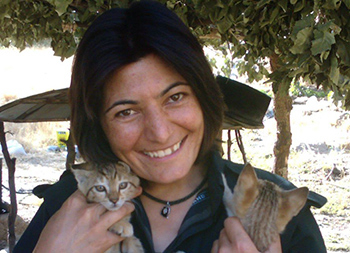 Zeynab Jalalian, a political prisoner in Iran, is going blind due to lack of medical care. She is at imminent risk losing her eyesight as a result of severe torture in prison.